We realize that finding stove parts in Norman OK can sometimes be difficult to locate for older, rare, or unique units, for some companies that is. We, however, are not one of those companies. So rest assured that we can find what your appliance needs. We offer the best range repair in Norman OK. We’d be happy to have you fill the next available appointment so that we can help resolve your range repair issues as soon as possible. 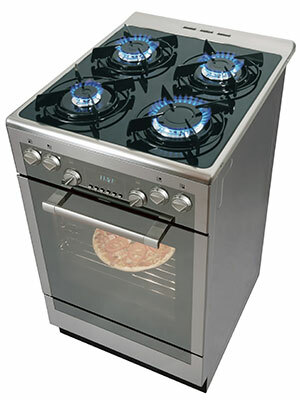 Let us help locate those hard to find stove parts that you have been searching for. Are you shopping the market for a new range? If so, there are many different things to consider. Don’t just think about the type of cooking surface, fuel, etc. Make sure to also consider your household. This may influence the options that are best for you. For example, if you are preparing meals for a big family and find yourself cooking in a wok a lot, a range with high power burners would be best. A lower powered burner would be preferred for cooking stews. Yes, “power” and “heat” are two separate things!